The aortic valve, Leonardo da Vinci, c.1512-13. Royal Collection Trust. 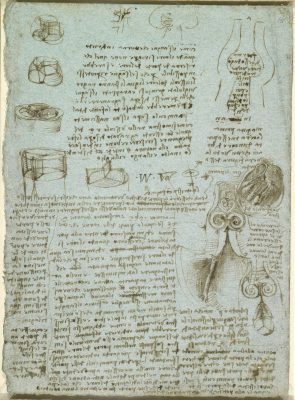 Leonardo’s anatomical sketches and insights, including those related to the heart, have been a major topic of interest in recent years. 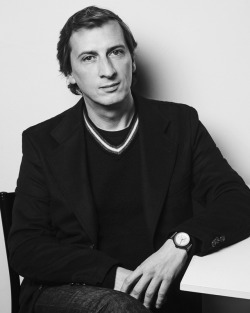 A cardiothoracic surgeon has even written a book entitled The Heart of Leonardo. However, there has long been debate about whether Leonardo ever made a heart of glass, or, more precisely, since this is a question about anatomy, whether he ever made a glass model of the aortic valve of an ox. 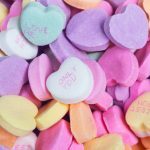 (But it’s a Valentine’s Day heart-themed post, so I’m using a little poetic license!) 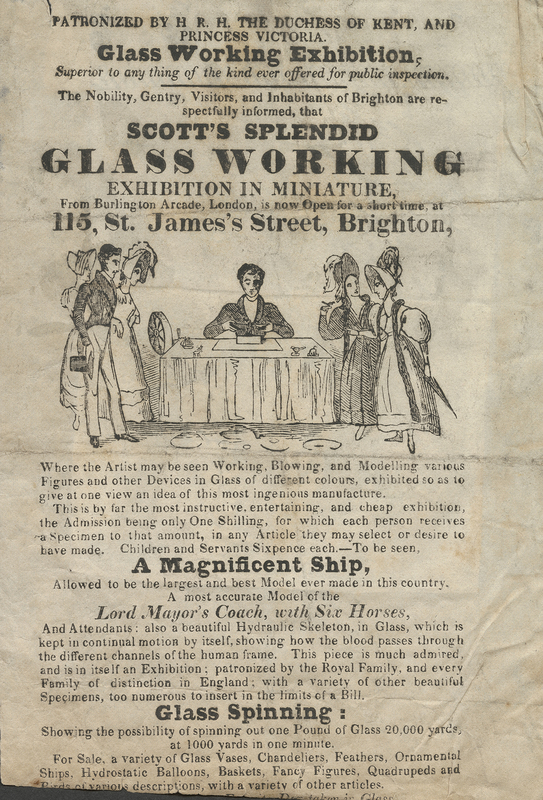 While some uncertainty remains, several papers in medical and scientific journals suggest that the glass model existed at one time. If you contact the Library, we’d be happy to send you a list of resources on this topic. 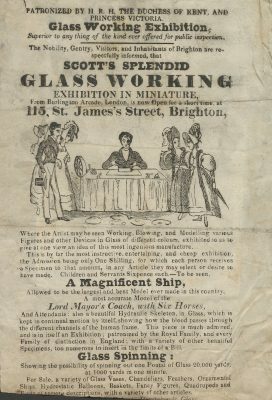 Certainly more is known about Leonardo’s glass heart than about the “Hydraulic Skeleton, in Glass, which is kept in continual motion by itself, showing how the blood passes through the different channels of the human frame,” which was advertised as part of Scott’s Splendid Glass Working Exhibition in Miniature to be held in Brighton in 1830 (CGML 138463). Alas, we may never know if this “hydraulic skeleton” incorporated an anatomical heart! 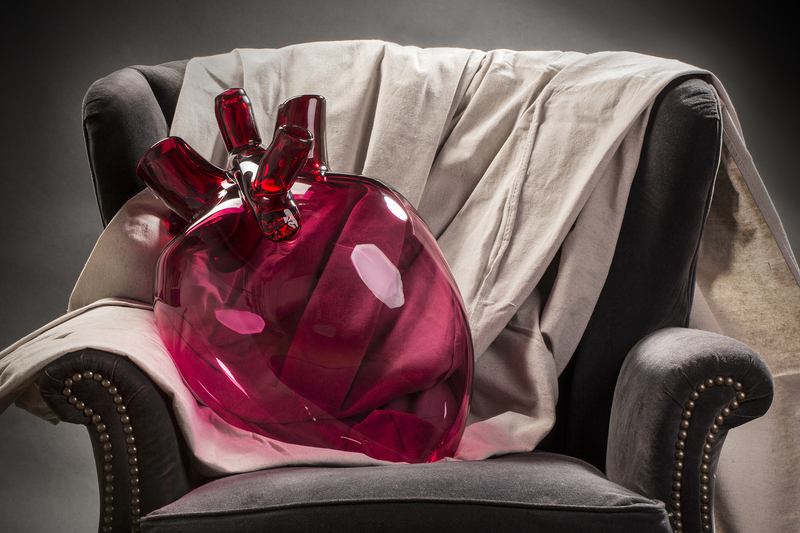 Heart by Sigga Heimis for GlassLab, September 26, 2013. Photographer Molly Cagwin. I can, however, share a couple of contemporary anatomical glass hearts with you. First, I would point you toward Icelandic designer Sigga Heimis, who collaborated with GlassLab to design and prototype blown glass hearts, a cheerful antidote to the usual Valentine’s Day fare. Heimis returned to the Museum in December 2018 to demonstrate making glass organs—this time, brain and liver—in the Amphitheater Hot Shop in collaboration with members of the Museum’s Hot Glass Demo team. 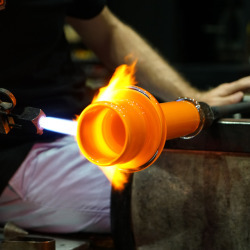 For a whimsical take on the anatomical heart, you can watch a Studio Demo by flameworking team Karina Guévin and Cédric Ginart in which they demonstrate their remarkable skills making a goblet out of borosilicate glass that includes a frog holding an anatomical heart. You can see the finished work at about 1:19:20. 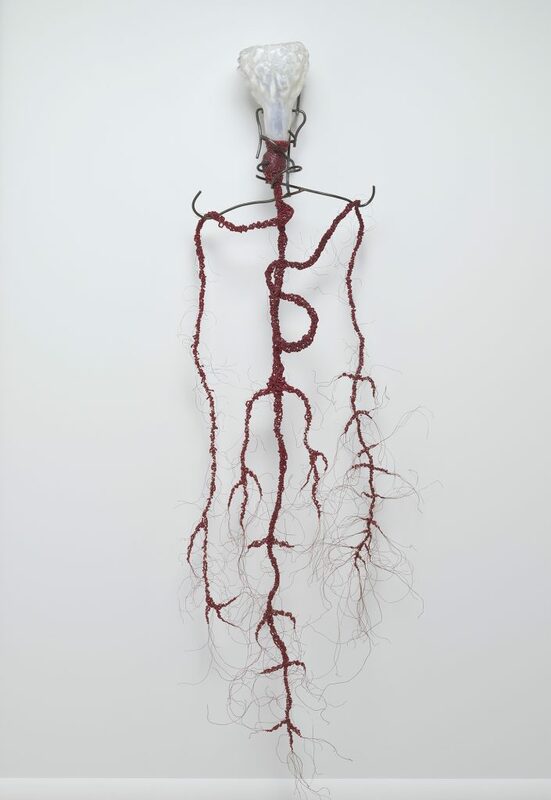 For the truly anti-Valentine’s Day crowd, may I suggest the work of multimedia sculptor Nancy Bowen, whose Red Root (2011.4.189) and Running Cold (2011.4.190) feature brains, veins, and arteries, but no heart, anatomical or otherwise, to circulate the blood. 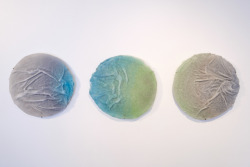 While these works succeed in evoking complex emotional and visceral responses, “romance” likely isn’t a word that comes to mind. Red Root, Nancy Bowen, Brooklyn N.Y. and Stanwood Wash., 1999. Anonymous Gift. 2011.4.189. Mikki Smith is the Reference and Visitor Services Librarian at the Rakow Research Library at The Corning Museum of Glass. A fascinating historical antidote to candy hearts. I guess the idea of a broken heart takes on a different meaning at the CMOG! Thank you for the interesting post, Mikki.